Texas Governor Greg Abbott has appointed a former chief of the Texas Rangers as new Commissioner of the disgraced Texas Department of Family and Protective Services (DFPS). DFPS is the agency responsible for protecting abused and neglected children in the state. Breitbart Texas has reported about the abuses, problems, and overreach in the agency, particularly among CPS caseworkers. DFPS is also referred to as Child Protective Services or “CPS.” There have been horrific abuses of children who are in the state’s foster care system. The Texas governor appointed Henry “Hank” Whitman as the next commissioner of the DFPS. Kristene Blackstone will serve as Assistant Commissioner. Whitman is a former chief of the Texas Rangers and Blackstone has 17 years of experience with CPS. Blackstone began her career with the department as a caseworker. 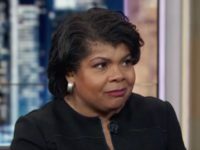 She is currently working as the Deputy Director for Field Operations for the Child Support Division of the Texas Office of the Attorney General. In early March, Breitbart Texas reported that the top official for the DFPS announced that he is stepping-down effective May 31, 2016. Judge John Specia Jr. became DFPS commissioner on December 1, 2012. He announced on March 6 that he is retiring after thirty years of public service. In April 2014, the advisory council at the department approved new agency rules after children died while in CPS foster care, as reported by Breitbart Texas. Two-year-old Alexandria Hill and eleven month old Orien Hamilton both died of blunt-force head injuries sustained by the hands of foster and kinship caregivers approved by DFPS. Children are placed in foster and kinship homes that have been approved by child-placing agencies (CPAs) licensed by the TDFPS. The department licenses the foster child-placing agencies that recruit, investigate, and train potential foster and kinship parents. They also monitor the placements once these individuals become caregivers. The new rules which took effect in September of 2014 only applied to new foster homes. Alex Hill died in July 2013 while in a Milam County foster home run by the Department’s #3 foster care contractor, Texas Mentor. Her foster caregiver, Sherill Small, was charged with capital murder after she showed law enforcement officers how she smashed Alex’s head against the floor. Rockdale Police Chief Thomas Harris stated that Small became frustrated after Alex got into food and water before the Smalls woke-up one morning. Small “punished” Alex by making her stand in a dark room for four hours. The Arlington office of Texas Mentor was placed on probation after 114 infractions were found at 56 foster homes during the two years prior to Alex’s death. TDPRS objected to the release of the home study report on the Smalls but then Attorney General Greg Abbott ordered it released. The couple had been extremely candid when they were first interviewed. Small told the agency about her troubled past as an abused foster child in Missouri. She had spent almost all of her childhood in foster care, as reported by the Dallas Morning News. Small’s husband, Clemon Small, said he was a recovering crack cocaine addict who made money from karaoke DJ jobs. Mrs. Small had been a bus driver but had a work-related injury. Orien Hamilton died in October 2013 when she was in an Austin foster home that had been approved by Lutheran Services of the South, the Department’s #1 CPA. The foster mother’s ex-husband, Jacob Salas, pinned Orien’s head to the floor with his knee. Orien already had broken ribs which had partially healed. Orien had a fractured skull, bleeding of the brain and detached retinas. Salas was a prison guard who had a history of violence and abuse. The foster mother had been licensed in October and the child died less than two weeks later. Orien’s biological father claimed that he had warned Texas officials that Orien was in danger, as reported by the Morning News. According to TDFPS statistics, there was an alarming increase in the number of deaths of foster children in the agency’s 2013 fiscal year. Eight foster children died in fiscal year 2013; two children died in foster care during fiscal year 2012. Another child died in foster care after the Department’s fiscal year 2014 began in September 2013. In March 2015, Breitbart Texas reported that Texas Governor Greg Abbott directed the DFPS to implement comprehensive reforms. The reforms were aimed at protecting children in the agency’s care. Nine children died under DFPS’ watch during 2014. In addition to these horrors, the agency’s critics say that more caseworkers should be investigated for their constitutional overreaches with parents, custodians, and guardians. As reported by Breitbart Texas, a CPS worker was found guilty of official oppression in September 2015. Rebekah Ross Thonginh, a CPS worker, is one of three individuals who were charged in connection with a CPS investigation of a case involving a special needs teenager who was murdered in 2012. Thonginh, Natalie Ausbie Reynolds, and Laura Ard were arrested in September of 2013 and were charged with official oppression and tampering with evidence. In 2014, a Texas judge ordered the removal of a YouTube video which went viral after it was highlighted in an article by Breitbart Texas. It had hundreds of thousands of views and shares. As reported by Breitbart Texas, Judge Keith Dean ordered the removal of the video which was produced by a 13-year-old boy who had been in the foster care system. It exposed the sexual and physical abuse that he and his brother and family say they endured. 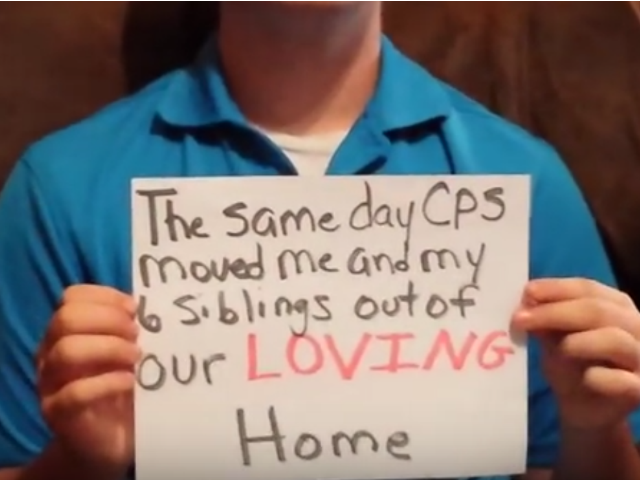 The video, obtained from someone outside of the family, also discusses the 377-day nightmare suffered by him and his six siblings after they were ripped from their family and placed in four different foster care facilities out of their home county. The mother told Breitbart Texas at the time “they are trying to rake this abuse under the rug.” The children have been returned to their family. In December 2014, a class action lawsuit was filed against CPS. As reported by Breitbart Texas, the lawsuit was filed by a New York advocacy group called Children’s Rights. About 12,000 children were included in the class action suit. These children were in long-term care in Texas. The advocacy group successfully sought and received an order from a federal district judge.